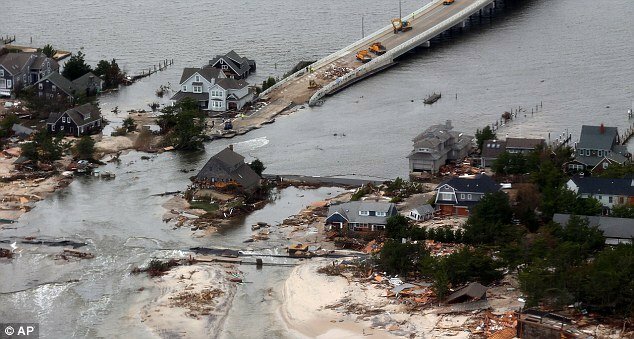 Superstorm Sandy hit the New Jersey shore town of Mantoloking hard – 60 homes were demolished when waves crashed over the sand dunes and swept into the small community. The water washed away the road leading to Ed Wright’s house and pummeled ten of his neighbors’ homes in a 200-foot radius. But Ed Wright’s house endured. It was the only house in his immediate neighborhood left standing by the ferocious storm and it sustained only minor damage. The New Jersey Star-Ledger calls Ed Wright’s house “the Mantoloking Miracle” – but closer examination reveals that the house remains standing because Ed Wright took special care when building it and used design features meant to withstand a hurricane. Now, FEMA and the town of Mantoloking are studying the home and could make some elements of its construction mandatory for all new houses that are built in the beach community. “The goal is to construct things that will stay around awhile,” Ed Wright told the Star-Ledger, “and hopefully outlive you”. Unlike his neighbors, Ed Wright elevated his home and built it on top of 34 treated pine pylons that were driven 20 feet into the sand. The first inhabited floor is eight feet above the beach. And the walls in the ground floor, used as a garage and for storage, were made to collapse easily under the force of waves – saving the rest of the home. Even the roof is designed with a hurricane in mind – long and sloping it faces north to ‘shoulder the prevailing win,’ the Star-Ledger reports. When the storm came, the home did exactly what is was supposed to. The walls on the ground floor gave way and allowed the water to wash around the pilings – leaving the living spaces of the house mostly untouched. While his neighbors’ homes were swept off their foundations or blasted to splinters by the water from the storm, which hit the New Jersey coast on October 29. Most of Ed Wright’s neighbors had only a small crawlspace beneath their houses, which provided no protection against the force of water. While his neighbors lost everything, Inside Ed Wright’s house it barely looked as though a storm had ever hit. The refrigerator was ruined by water and a few floorboards were damp. Houseplants had been toppled over and a few pictures were knocked off the wall. Otherwise – the living space was untouched. “It was all in one piece, like we had just gone to eat, as if we had just gone out,” Ed Wright said.